I'm trying to go back over all of my TpT items and revise them for next year. It doesn't seem like I'm getting my revisions done fast enough though! I have updated my Chapter and Picture Book Lit Pack though for those of you who have purchased it. 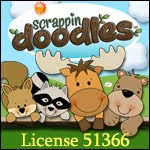 Click the picture to visit my TpT store or check your downloads to update to the newest version. I mainly added more spaces for my kiddos to write. They really need the room at the beginning of the year. I have also added my Reading Journal pages that I use as homework. I use this pack with my guided reading groups. There are 6 jobs that we rotate through: Questioning Quinn, Retelling Rhonda, Wordy Wyatt, Connecting Charlie, Predicting Pals, and Artsy Arnold. 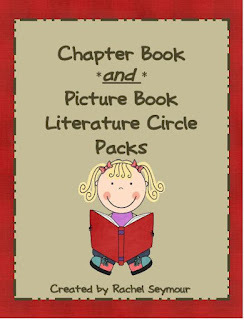 I'm working on the Chapter Book Lit Pack and the Picture Book Lit Pack too. I'm almost done with those! This is going to be a quick post! I'm headed to tutor my kiddo from this past school year in a little bit. Then, I'm headed over to my friend Christina's from Sugar and Spice. She's moving to first grade this year so we're going to get together and work on some ideas! It will be a fun, teachery kind of day! I'm still in the process of working on my Rock Star theme. I did talk to my mother-in-law last night about updating some of the things in my room to match my new theme. I can't wait to post about those and show you pictures!